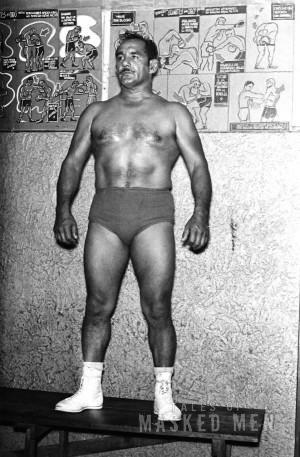 CENTRO DE COLECCIONES ARTURO ORTEGA NAVARRETE – There were many who photographed lucha libre in its classic era (1950s – 1970s) but certainly one of lucha libre’s most prolific chroniclers was Arturo Ortega Navarrete. His daughter, Hilda has said that upon death he left behind 250,000 negatives of lucha images. 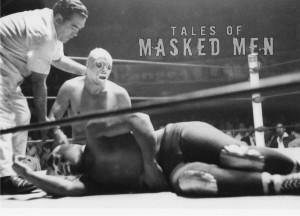 Tales of Masked Men uses many photos from his archive.  Many have never been seen before. El Rayo de Jalisco, Black Shadow and El Santo posing in a dressing room. El Santo vs. Blue Demon. 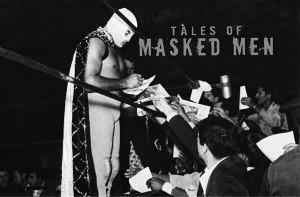 El Santo signing autographs for fans. 1965. El Solitario in a locker room. Tarzan Lopez in the dressing room. 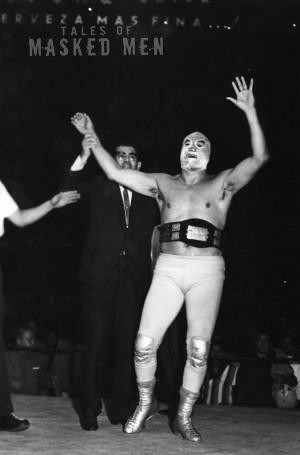 El Santo in victory. Mid-1960’s.